The primary purpose of FilmPEI is to assist emerging, mid-career, and established media artists in their production efforts by providing a pool of talent, resources, workshops, programming structures, equipment and space. Through these avenues we inspire interest in, and support of, all aspects of the media arts to a community that otherwise would find these forms of expression less accessible and less affordable. VOTING MEMBERS are able to vote at the Annual General Meeting and Special Members Meetings. Voting membership level also allows for discounted rates (see https://www.filmpei.com/equipment/) for artist owned creative content that is meant to forward the creative career of members in good standing. Members are considered ‘in good standing’ if their annual dues are paid up and they have no overdue invoices owing. It is important for all voting members to be active within FilmPEI – to attend General Meetings, Annual General Meetings and to assist in, or spearhead, committees, fundraising initiatives and new program initiatives. Access to most workshops at member rates. Has access to entry level equipment. Has access to the FilmPEI facilities during open hours. Application requirements: application form and the membership fee. Access workshops at member rates. The right to apply for production grants. Has access to all equipment (some require special training). May request access to the facility after hours. Application requirements: application form, biography, a resume and two examples of a media art production on which you played a major creative role and the membership fee. NOTE: Applicants are assessed and approved by the board of directors. has contributed to the film industry on PEI. Access to entry level workshops at member rates. NON-VOTING MEMBERS have no vote at FilmPEI Annual General and Special Members meetings BUT do have certain privileges. For youth 13 to 17 years old. Has access to entry level equipment and the facilities during work hours on a case by case basis. MUST have a guardian sign all contracts. Guardians must sign the Youth Membership contract releasing FilmPEI from all liability for their wards and taking responsibility for any damage to gear and facilities. NOTE: unless otherwise stated workshops are geared to adult members and may not be suitable for very young members. The Guardians are responsible for alerting workshop leaders to their youth’s attendance and making arrangements for circumstances like shortened or lengthened classes, etc. Application requirements: application form signed by a guardian in the presence of a FilmPEI staff and the membership fee. Primarily for visiting producers or local producers who want to rent FilmPEI gear without participating in the organization. NOTE: discounted rates typically do not apply for this membership level but exception to this policy is at the discretion of the Executive Director. Access to equipment rental with a credit card and photo id for security. Access to the facilities during workhours and/or with a technician on site after hours at the cost of the Associate Member. 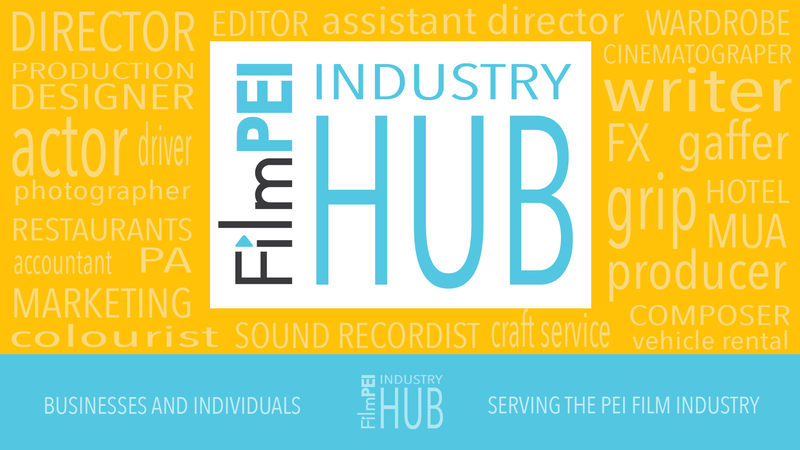 For businesses and corporations that want to support FilmPEI. No access to equipment. Should the organization want to rent equipment/facilities a single person from the organization must join as Producer Member or Associate Member and take personal responsibility for the gear. More info in FilmPEI Member’s Handbook coming soon! NOTE: there is currently a universal pay date of September 1st each year so new Producer, General and Youth members will get a prorated rate depending on the month they begin their memberships. Contact director@filmpei.com before sending in any payments. Returning members will pay the full fee to renew their membership regardless of the time of year. NOTE 2: A NEW PAYMENT SYSTEM IS CURRENTLY BEING PUT INTO PLACE. CHECK BACK SOON FOR THAT UPDATE.